SAN FRANCISCO — September 5, 2018 — Cloud Foundry Foundation, home of a family of open source projects including Cloud Foundry Application Runtime, Cloud Foundry Container Runtime and Cloud Foundry BOSH, announced today additional keynote stage participants at the annual European Summit at the Congress Center in Basel, Switzerland, October 10-11, 2018. Standard registration for the event ends this Friday, September 7, before price increases by 176 euros. More than 1,000 enterprise developers, architects, engineers and executives from around the world are expected to attend the Basel Summit. Attendees will learn about Cloud Foundry from those who build and use it every day. They will join other developers, end users and CIOs to gain first-hand access to Cloud Foundry roadmaps, training and tutorials, and to see how others are using Cloud Foundry to support continuous innovation and application portability. Cloud Foundry Foundation will carry on the tradition of hosting a diversity event at Basel Summit. There is one sponsorship remaining for the Diversity Luncheon. The sponsorship will directly support The Chasing Grace Project, with the total amount going towards production of the series. Google and IBM have sponsored Diversity Luncheon itself, which will include a screening of an episode from the docuseries The Chasing Grace Project, written and directed by Jennifer Cloer, co-founder of Wicked Flicks Productions. There will also be a free Hackathon for developers with prizes awarded to the top three teams and first place winners announced on-stage during Thursday morning keynotes. The 2018 Boston Summit winning Hackathon team will be featured in the Experiments track. 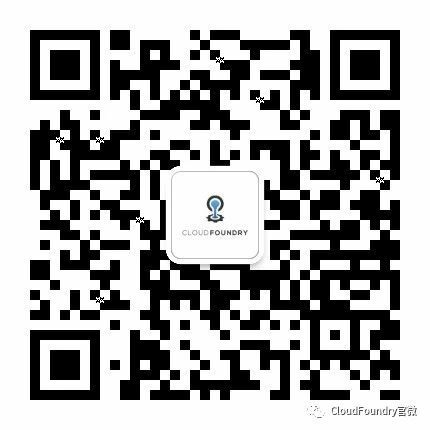 Cloud Foundry is an open source technology backed by the largest technology companies in the world, including Dell EMC, Google, IBM, Microsoft, Pivotal, SAP and SUSE, and is being used in production by leaders in manufacturing, telecommunications and financial services. Only Cloud Foundry delivers the velocity needed to continuously deliver apps at the speed of business. Cloud Foundry’s container-based architecture runs apps in any language on your choice of cloud — Amazon Web Services (AWS), Google Cloud Platform (GCP), IBM Cloud, Microsoft Azure, OpenStack, VMware vSphere, and more. With a robust services ecosystem and simple integration with existing technologies, Cloud Foundry is the modern standard for mission critical apps for global organizations. The Cloud Foundry Foundation is an independent non-profit open source organization formed to sustain the development, promotion and adoption of Cloud Foundry as the industry standard for delivering the best developer experiences to companies of all sizes. The Foundation projects include Cloud Foundry Application Runtime, Cloud Foundry Container Runtime, BOSH, Open Service Broker API, Abacus, CF-Local, CredHub, ServiceFabrik, Stratos and more. Cloud Foundry makes it faster and easier to build, test, deploy and scale applications, and is used by more than half the Fortune 500, representing nearly $15 trillion in combined revenue. Cloud Foundry is hosted by The Linux Foundation and is an Apache 2.0 licensed project available on Github: https://github.com/cloudfoundry. To learn more, visit: http://www.cloudfoundry.org.